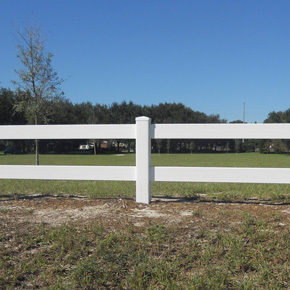 David S. Smith Fence, Inc has nearly 30 years of experience in fence repairs, and we have provided the residents and business of Apopka and all throughout the Central Florida area with repairs of a variety of different fences, including vinyl, aluminum, ornamental and chain link. There's no job we can't handle, and we proudly do small repairs as well as large-scale jobs. Whether you bought your fence from our company or not, we will gladly offer our repair services and get your fence back in working order as soon as possible. When you hire our fence contracting services, you can rest assured that the job will be completed by professionals, and we will handle every detail from start to finish. Customer satisfaction is our number one priority, and we pride ourselves on offering exceptional products with services unmatched by other businesses. As native Floridians, our fence repair professionals have deep roots in the communities of Orange, Lake, Seminole, Volusia, and Osceola counties, and we are proud to offer you our expert fence repair services. To learn more about our company's products and service, visit the Fence Rentals pages.